This Hydration treatments ideal for dull dry skin that lacks the essential moisture factor. A gentle exfoliation, with an active enzyme gel that removes dead skin and promotes cellular regeneration, is the first step of the treatment. This is followed by a circulation procedure, with a collagen repair serum that improves circulation and plumps up lines and wrinkles. 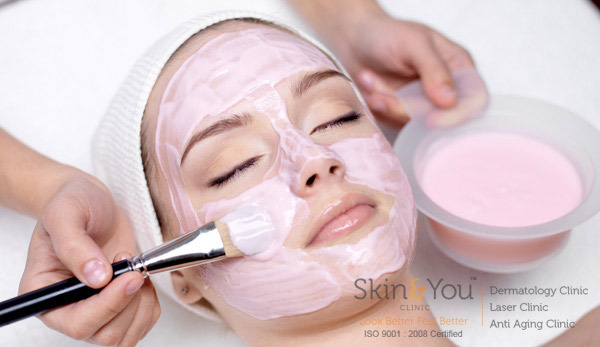 A deep hydrating mask and massage then moisturizes the facial skin from inside out and promotes collagen synthesis. The procedure lasts for approximately an hour; is smooth and calming, safe and painless, and has no side-effects. The skin gets an instant collagen boost. It smoothens out fine lines and evens out skin tone. It improves the skin’s hydration, tone, elasticity and glow factor. Why Skin & You Clinic for hydration treatment? We at Skin & You Clinic understand the needs of dry dull skin and the importance of hydration for the skin to look flawless.the treatment is simple and essentially suited for eczema prone skin.